As many as 86 students from economically weaker sections were today felicitated by the Central Board of Secondary Education (CBSE) for performing well in the Class XII examinations. Union Human Resource Development minister Prakash Javadekar felicitated the students at the annual event "Gun Gaurav". New Delhi: As many as 86 students from economically weaker sections were today felicitated by the Central Board of Secondary Education (CBSE) for performing well in the Class XII examinations. Union Human Resource Development minister Prakash Javadekar felicitated the students at the annual event "Gun Gaurav". "Education empowers an individual and gives courage to realise dreams. Education is inspirational as these students have shown with their excellent performance," Javadekar said at the event. 45 of the felicitated students were from government and government-aided schools, 31 from Kendriya Vidyalayas who scored 95 per cent and above, while 10 students scoring 88 per cent and above were from Jawahar Navodaya Vidyalayas. 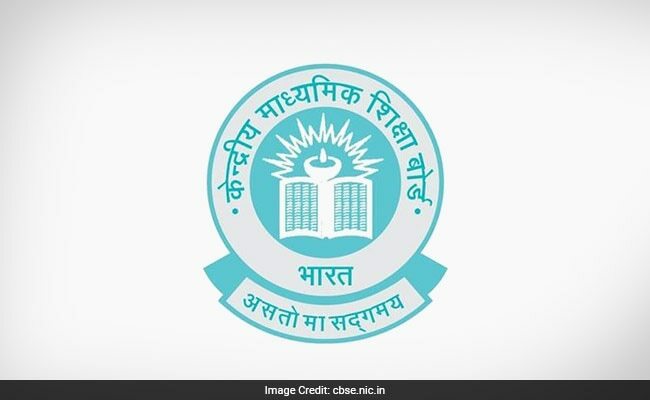 "These students have been identified on the basis of the performance range and income criteria as recommended by an internal committee," a CBSE official said. The Board as on March 31, 2017 has 18,694 schools in India and 211 schools in 25 foreign countries. There are 1,117 Kendriya Vidyalayas, 2,720 government and aided schools, 14,253 independent schools, 590 Jawahar Novodaya Vidyalayas and 14 central Tibetan schools.